This page is dedicated to Perth's Red CAT. 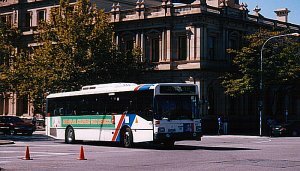 The CAT buses are free buses that operate in the centre of Perth (Red and Blue) and Fremantle (Orange). 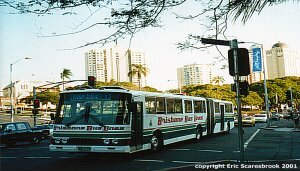 The Red Cat mainly runs east-west in the Perth CBD. Red CAT #5 passes Perth Station on Wellington Street. 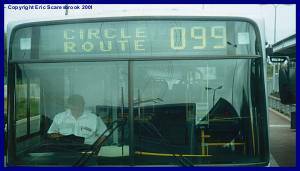 4 January 2001.